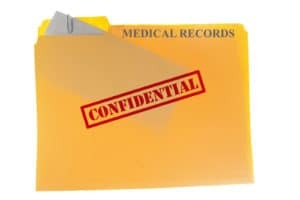 There’s a right way and a wrong way to dispose of the sensitive records commonly found in medical and legal practices. The wrong way can lead to stiff fines, exorbitant breach notification costs and loss of client trust. If you’re a doctor or an attorney, here we share the right way to dispose of your medical or legal records so you can stay focused on your clients and patients. The easier you make document disposal for your employees, the less risk your medical or legal practice will incur. In-house shredding with an office paper shredder is time-consuming. Your staff has to remove staples and paper clips from files before shredding them. Paper jams, which happen frequently, must be fixed as they occur, otherwise documents can’t be shredded. And almost as frequently, the shredding receptacle needs to be emptied. Besides affecting your staff’s productivity, these burdensome processes increase the chance of sensitive medical records and client files ending up in an unsecured trash can. A shredding and destruction service eliminates this risk by streamlining document disposal practices for your staff. Locked shredding collection containers replace your office paper shredders. Employees can quickly drop sensitive files through a slot in the container without having to remove folders, staples or paper clips. On a scheduled or as-needed basis, screened, uniformed and badged professionals empty your containers, and transport your documents to a shredding plant for secure, offsite destruction or shred them onsite with a mobile shredding vehicle. Whatever regulations you are required to comply with, a professional shredding service can help. Strict chain of custody protocols are followed throughout the document collection, destruction and recycling process. 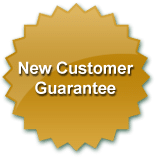 A Certificate of Destruction is issued after shredding is complete to document the time, date and method of destruction and also proves your practice is compliant with state and federal privacy laws. Not destroying your medical and legal records isn’t an option. Document destruction done the right way saves your practice time, money and risk.